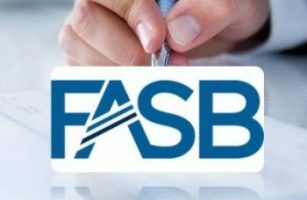 The Financial Accounting Standards Board (FASB) has issued Accounting Standards Update No. 2017-11, which simplifies accounting for certain financial instruments and will be testable on the CPA Exam in April 2019. Taking FAR in Q2 2019 or later? You’ll want to know this material, so start planning ahead now! You’ll also want to be familiar with this Standards Update if you’re testing in AUD in Q2 2019 or later. This Standards Update, Earnings Per Share (Topic 260), Distinguishing Liabilities from Equity (Topic 480), Derivatives and Hedging (Topic 815): I. Accounting for Certain Financial Instruments with Down Round Features, II. Replacement of the Indefinite Deferral for Mandatorily Redeemable Financial Instruments of Certain Nonpublic Entities and Certain Mandatorily Redeemable Noncontrolling Interests with a Scope Exception, simplifies the accounting for certain financial instruments with “down round” features. The provisions of the new ASU related to down rounds are effective for public business entities for fiscal years beginning after December 15, 2018. Therefore, this content becomes testable on the CPA Exam April 1, 2019. Down round is a provision in an equity-linked financial instrument that provides a downward adjustment of the current exercise price based on the price of future equity offerings. Down rounds are common in warrants, convertible preferred shares, and convertible debt instruments issued by private companies and development-stage public companies. ASU 2017-11 requires companies to disregard the down round feature when assessing whether the instrument is indexed to its own stock, for purposes of determining liability or equity classification. Companies that provide earnings per share (EPS) data will adjust their basic EPS calculation for the effect of the feature when triggered (that is, when the exercise price of the related equity-linked financial instrument is adjusted downward because of the down round feature) and will also recognize the effect of the trigger within equity.